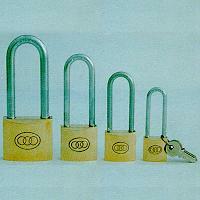 Shangdong TRI-CIRCLE Lock MFG Group Corp. (formerly Yantai Lock MFG Works) has a developing history of over 60 years. Now it is a state-owned large-size enterprise and has more than 3000 employees. The factory area is 140,000sqm. Main products are TRI-CIRCLE brand brass & iron padlocks, magnetic card locks, electronic card locks, automotive locks, all kinds of door locks, chain locks, wire locks, combination locks and adapters, safes of many sizes, and talking system for buildings etc. in more than 100 specifications of over 10 types. They are well sold to over 160 countries and regions in the world. The exchange earned annually is USD20 million plus. It has strong technical capabilities. It is the national first class metering enterprise and the national second class enterprise.